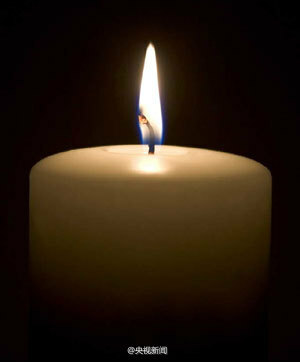 @央视新闻: #Boeing 777 Airplane Crash# Please light a candle for them. Yesterday, they may have been talking and laughing on their way to the United States, with their mother’s exhortations, father’s best-wishes, and the excited enthusiasm that only girls in their prime have; Today, they instead fell from the sky in a frightening disaster, their lives not unable to descend as steadily as they took off. This is not only a sad day for the aviation industry, it is also a heartbreaking day for two families. Separated by the vast ocean, unable to say goodbye. To the young girls who died in San Francisco, rest in peace! The overwhelming majority of the comments to the above post are Chinese netizens posting candle emoticons and expressions of condolences. 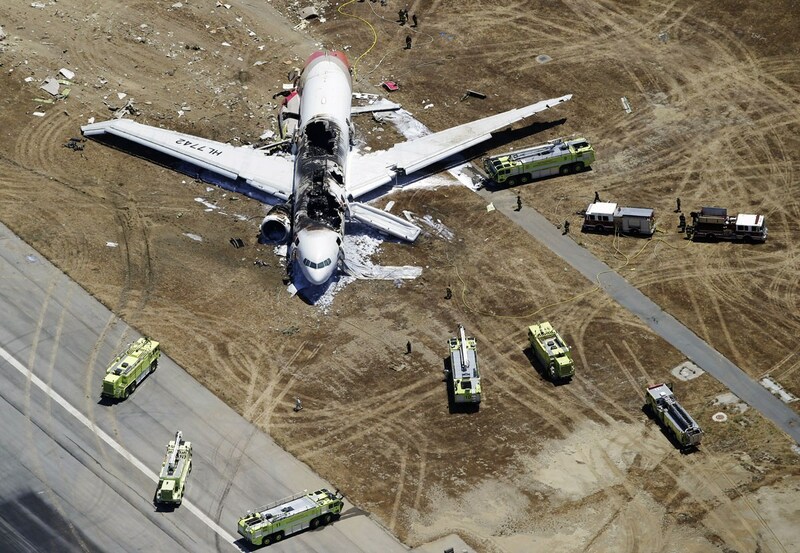 Korean media say the pilot involved in the Asiana Airlines passenger plane accident was in training. 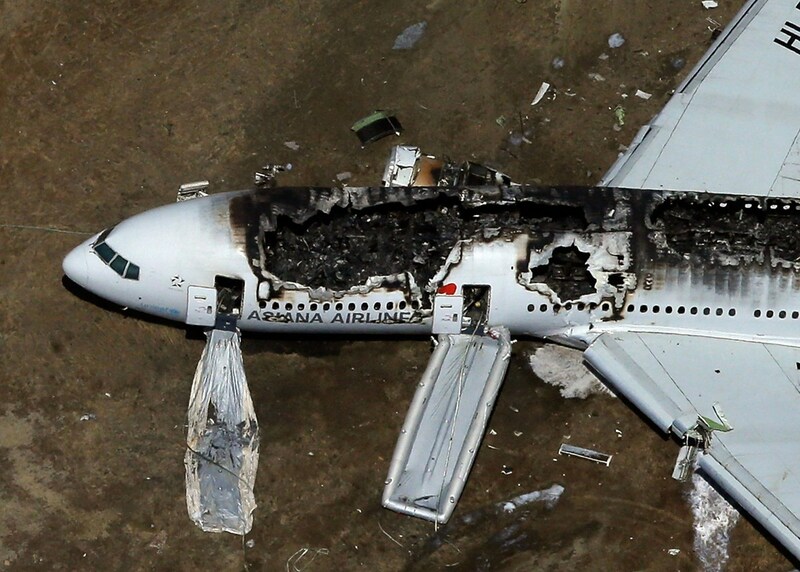 The Asiana Airlines weibo has posted an apology for the plane crash. 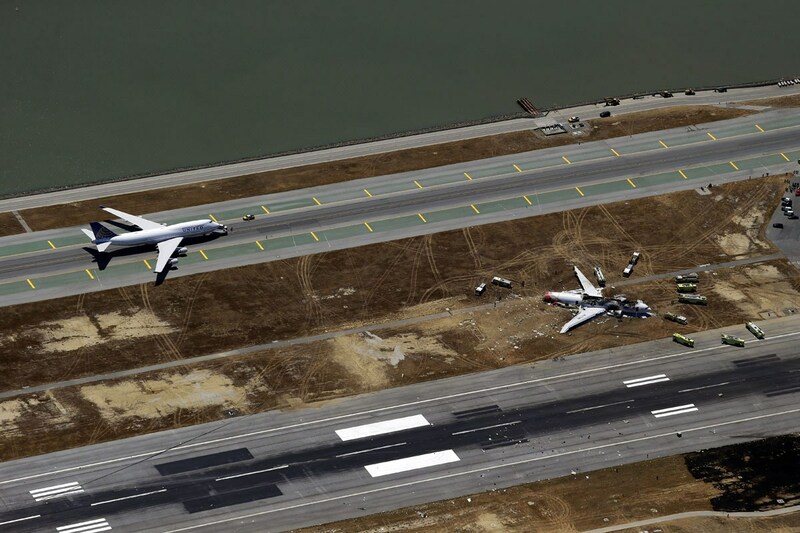 Early morning on the 7th Beijing Time, the tail of a Boeing 777 passenger plane broke off while landing at San Francisco International Airport. Microbloggers on the plane live broadcasted the entire experience. According to the victims list made public by @Asiana Airlines, two middle school students Wang Linjia and Ye Mengyuan were confirmed as having perished. A moment of silence! 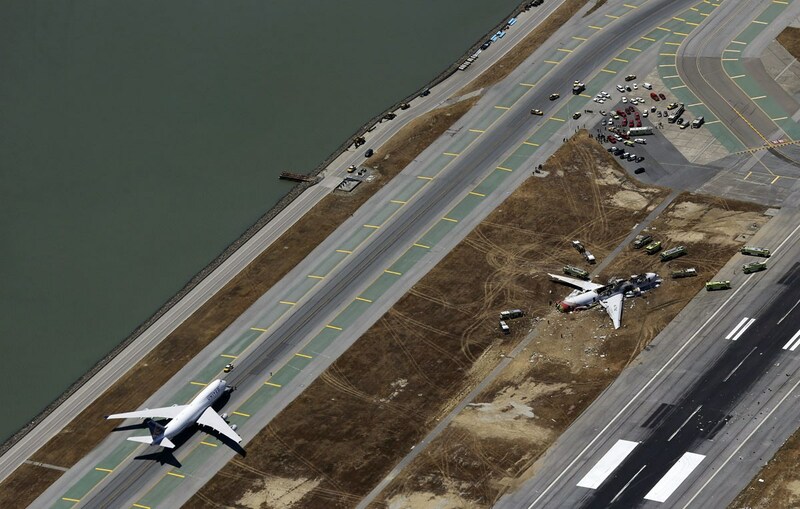 Saturday morning, an Asiana Airline Flight 214 Boeing 777 passenger plane that departed from Seoul and landed at San Francisco International Airport’s #28 runway suddenly crashed and rolled over on its side, the entire plane filled with thick smoke. Casualties are currently unknown. 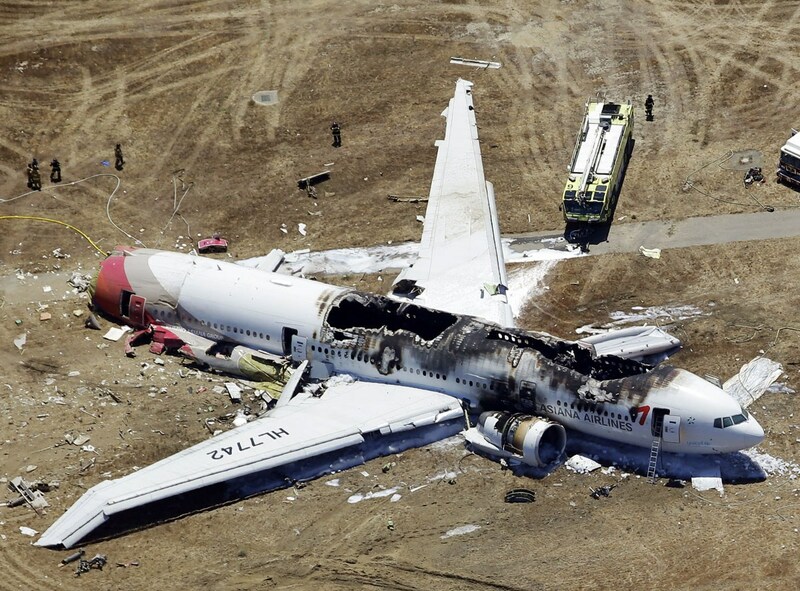 Asiana Airlines Boeing 777 Passenger Plane Crash Had 141 Chinese People. 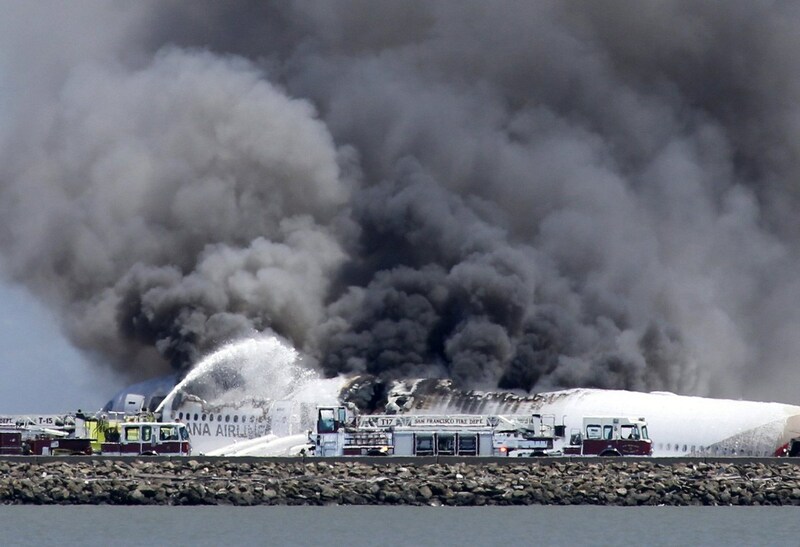 Korea’s Asiana Airlines Flight 213 crashed while landing at America’s San Francisco International Airport, its tail section breaking off, and igniting into flames. At present, at least 2 people have died and 61 are injured. According to China’s consulate in San Francisco’s preliminary confirmations, there were 141 Chinese citizens on the crashed plane, including 34 high school students and 1 teacher. Why were most of them Chinese, and Chinese students too? I don’t get it. The students were going to a summer camp in America, departed from Hong Kong and transferred in Korea. It was from Shanghai to Seoul to San Francisco. Because the point of departure was Shanghai, did you not listen? This seems to be the first time there has been an accident with the 777, right? Previously British Airways also crashed a 777-200, because of a fuel-oil heat exchanger problem. It was the same, descended to the start of the runway, lost speed, and fell. 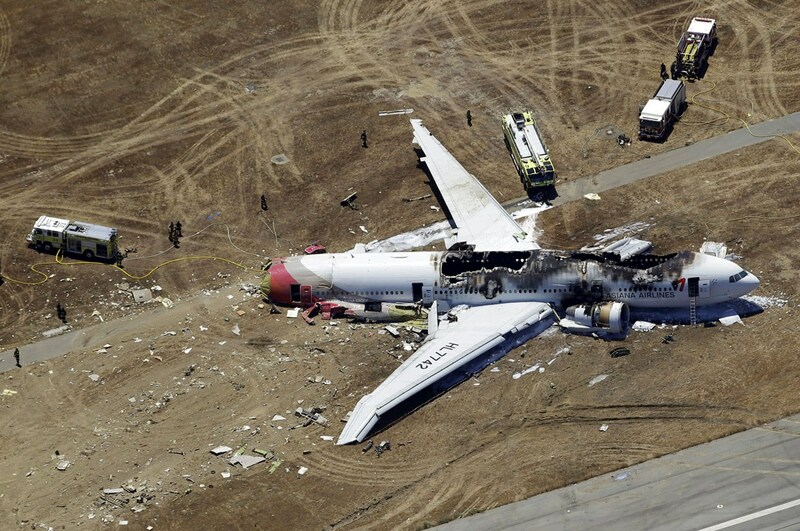 The plane crash has caused 2 deaths and 182 injured with over 40 of them seriously injured. Receiving many of the heavily injured, San Francisco General Hospital indicated that most injured suffered injuries to their abdomen, spinal column fractures, with two of the injured being paralyzed as a result, as well as a lot of head injuries and various kinds of bone injuries. Two of the injured suffered skin loss due to friction with the road, suggesting that they may have been dragged, but the two both survived. Doctors also pointed out that there are still 15 to 16 people still unconscious. 5:11am on the 7th Beijing Time, American Boeing 787 Airplane electrical engineer @ROY G. Yang posted the recording of the air-ground dialogue with the Asian Airlines Boeing 777 plane that crashed. The recording shows that upon learning of the plane’s emergency, the air traffic controller dispatched various vehicles to prepare to respond, with everyone rushing to the scene. This just shows China’s position in the world. Even small countries don’t respect you. This pilot only had 43 hours with the Boeing 777… a novice. I only heard before that Korean pilots are unreliable, but now I know, there TM isn’t a reliable person in the entire Korean airline industry. …yet another additional 2 bachelors. 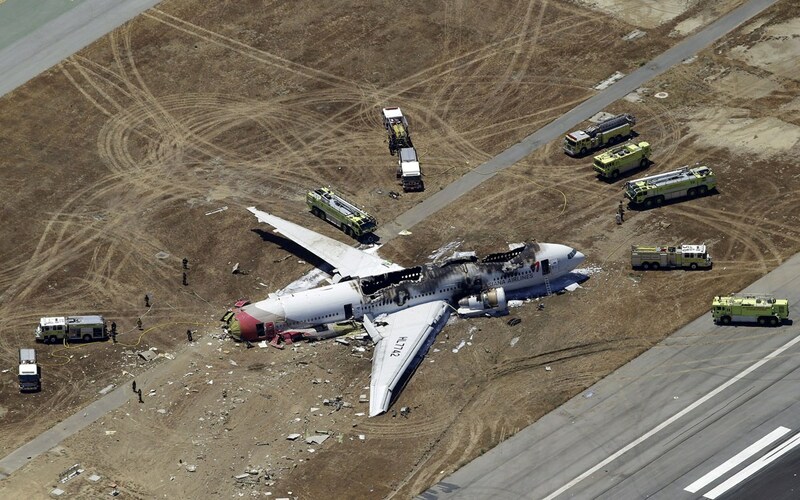 Our country’s planes are safer, this kind of incident hasn’t happened. Forgotten the Yichun plane crash? 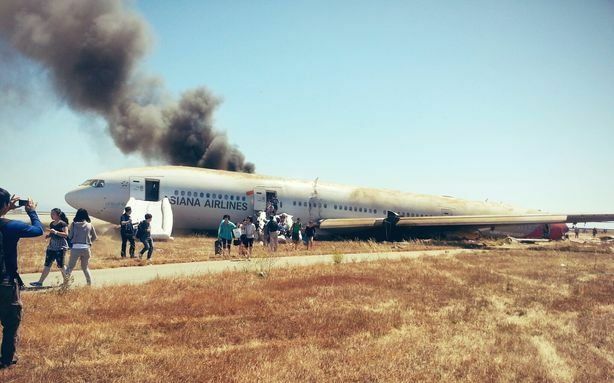 Reuters report, local officials claimed on Sunday that an ambulance rushing to the Asiana Airlines crash site to help yesterday may have ran over one of the Chinese girls who died. One of the girl victim’s bodies had bruises caused by being run over, and the local coroner is currently conducting an autopsy to determine the girl’s cause of death. “>A CCTV journalist interviewed medical personnel, with the doctor saying that as the plane descended, one of the Chinese girls that died was not wearing her seat belt and died immediately; The other was sent to the hospital with a weak pulse, where doctors operated on her but she ultimately died from the severity of her injuries. Why wasn’t she wearing her seat belt~!!!! Chinese-style passenger behavior. To be honest, I also normally don’t fasten my seat belt. Not wearing seat belts is a Chinese characteristic. There are always people in every country who don’t fasten their seat belts, what are you talking about “characteristic”. Nonsense! You’re clearly trying to sow dissension [cause trouble, get people to argue]! Many foreigners also don’t wear their seat belts, how did it become a Chinese characteristic? Whether one buckles or not is a matter of the individual. Go to North America and see. It’s a Chinese characteristic, no doubt. There were over 140 people on there and only she wasn’t wearing her seat belt, how can this not be a matter of an individual? Even if you don’t buckle up, it is still a problem with you as a person, so how can this become a national characteristic? The only thing is that our countrymen’s awareness of safety falls short of those of developed nations. Chinese people once again died due to not complying with social order/rules. 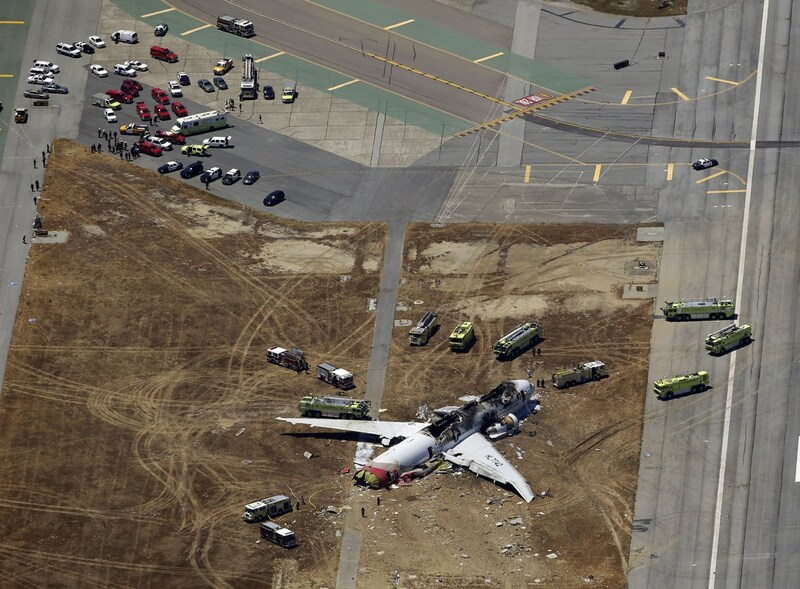 This shows that one shouldn’t unbuckle their seatbelt before reaching the terminal. I came to read the comments~ After reading the comments, I have one conclusion that I guarantee won’t offend anyone. That would be that the girl did wear her seatbelt but the quality of bangzi airplane seat belts is too poor, and ripped under the stress, resulting in the girl’s death. An ambulance may have ran over one of the Chinese girl victims. The Americans sure know how to divert attention/change the subject, diverting everyone’s attention onto the seat belt. Thinking about it, it really is strange. Everyone on the plane only had light injuries, so why were there deaths? Could it be? Really? No way. This issue is more complicated than you think.